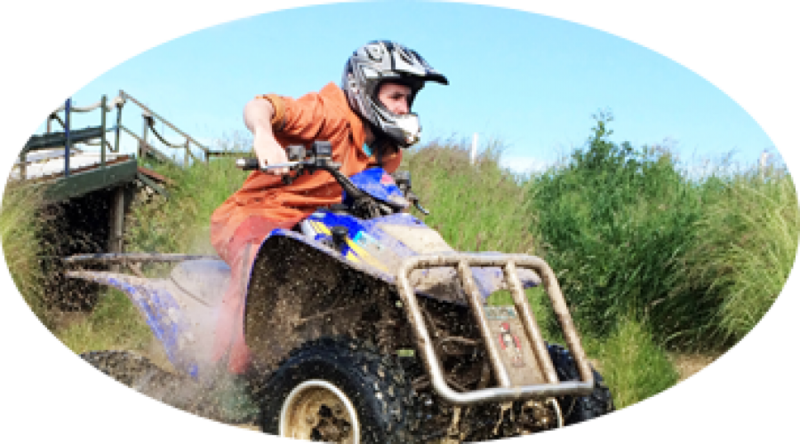 catered for and full safety tuition is provided. Waterproofs, helmets, boots and gloves are also provided. 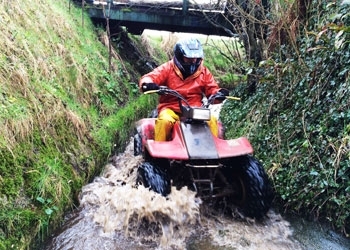 Safety equipment is mandatory even for pro quad bikers, and the event operates strictly within the limits of safety. Our instructors will carefully explain the rules and regulations at the beginning of the workshop and will make sure that you remain safe and sound as you experience the wild excitement of charging across the natural terrain of the course.